Oklahoma's GOP Senators Find Themselves In Tornado Aid Bind : The Two-Way Sens. Tom Coburn and James Inhofe have become the faces of pushback on federal emergency spending. Now the deadly and devastating tornado in their home state has put them in an awkward position. 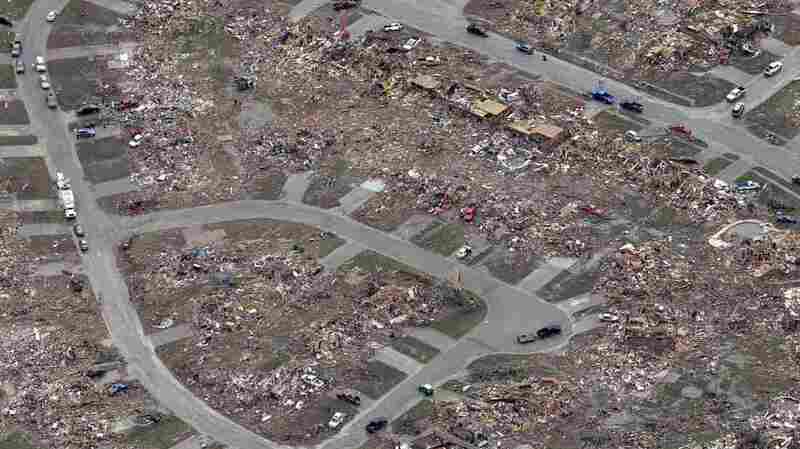 An aerial view shows an entire neighborhood destroyed by Monday's tornado in Moore, Okla. Even as President Obama was declaring that tornado-devastated Oklahoma would get "everything it needs right away," the state's most vociferous critic of federal emergency aid vowed that he, too, would push for assistance "without delay." Yet Republican Sen. Tom Coburn's position on federal aid came under close scrutiny in the hours after the tragedy. The issue is a complicated one for Coburn and his fellow GOP senator, James Inhofe: Both have been consistent critics of FEMA spending and recently voted against aid to victims of Superstorm Sandy, which ravaged swaths of New Jersey and New York last year. Coburn told CQ.com Monday that he'd "absolutely" ask for budget cuts to offset the federal disaster relief spending. "We still don't know the scope of devastation and won't for some time," Coburn wrote. "But, as the ranking member of the Senate committee that oversees FEMA, I can assure Oklahomans that any and all available aid will be delivered without delay." Sensitive to the perception that Coburn had opposed disaster aid bills in the past but was now requesting federal assistance when his home state was affected, the senator's office sought to clarify his stance Tuesday afternoon. 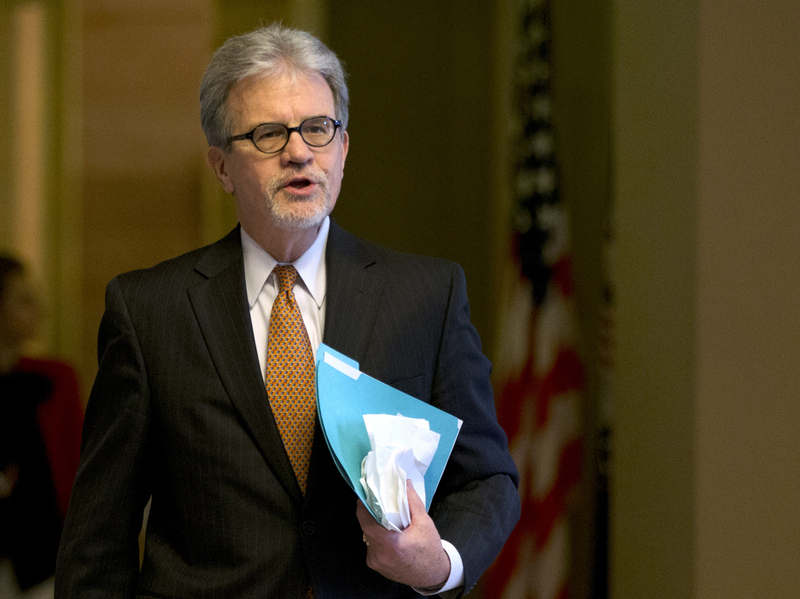 "Dr. Coburn has opposed disaster aid bills in the past because he believes disaster funding should be used to pay for disasters, not a wish-list of parochial or backlogged priorities that have nothing to do with helping victims," an aide wrote. ""If an additional emergency aid package is necessary, Dr. Coburn will not change his long-standing position on offsets." Sens. Tom Coburn (above) and, to a lesser extent, James Inhofe (below) have become the faces of pushback on federal emergency spending even though Oklahoma is one of the biggest recipients of U.S. disaster aid. Three of the state's five members of the U.S. House also voted against Sandy aid; Republican Reps. Tom Cole and Frank Lucas supported the $60.2 billion aid package. A 2011 analysis by the Center for Public Integrity found that Texas and Oklahoma "combined for more than a quarter of FEMA's declared disasters since Jan. 1, 2009." Eleven GOP senators who represent the states with the most FEMA-declared disasters since the start of 2009, according to the study, voted against a bill "designed to keep the agency's disaster relief fund from running out of cash." Republicans had referred to the FEMA funding issue as a manufactured crisis, and later, in debate over Sandy spending, Inhofe called the proposed aid bill a "slush fund" for special interests. But in an MSNBC appearance Tuesday morning, Inhofe characterized the Sandy aid bill as "totally different" from legislation that would provide assistance to Oklahoma. 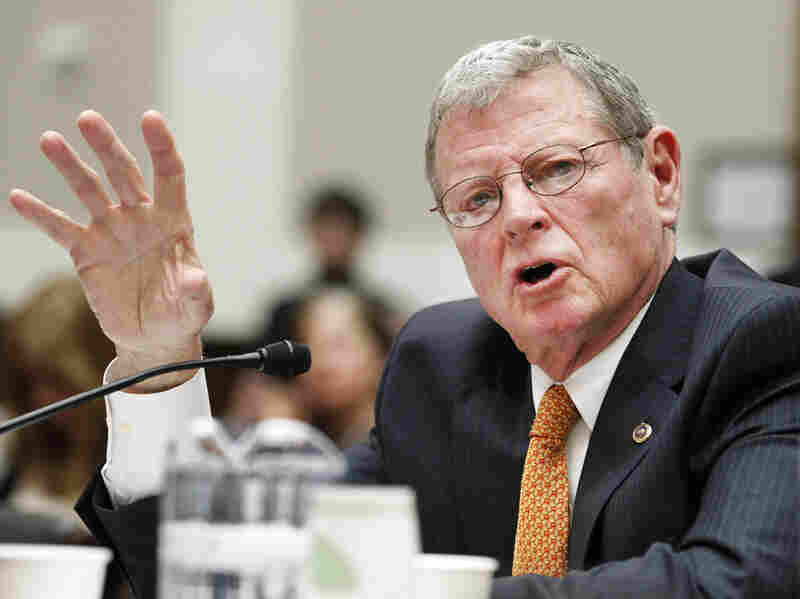 "They were getting things, for instance, that was supposed to be in New Jersey," Inhofe said. "They had things in the Virgin Islands, they were fixing roads there. They were putting roofs on houses in Washington, D.C. Everybody was getting in and exploiting the tragedy that took place. That won't happen in Oklahoma." Early Tuesday, Coburn's Senate website contained no mention of the tornado that hit the city of Moore. Rather, it led with the headline "Sequester This" on a list that, among other things, proposed cutting "fat" to avoid furloughs and flight delays. One cut he proposed: $5.25 billion from FEMA's Superstorn Sandy-aided surplus. The site was later updated with a "how to help" link to nonprofit organizations providing aid to tornado victims in Oklahoma. "Everyone's focused on recovery," says political analyst Sheryl Lovelady of Norman, Okla. "I don't think anyone is thinking about politics, even though politicians have been in front of the cameras." "I can't imagine our congressional delegation turning away help for people who have lost everything," she said. "People here are suspicious of the federal government and how slow-moving it can be. To have the president support getting us all the resources we need, and if the congressional delegation delays? That would not go over well." And though Coburn was taking a battering on social media Tuesday morning — accused of everything from holding his constituents hostage because of his call for a budget offset, to being un-Christian — his spokesman John Hart portrayed his boss's hardline position on offsets for disaster aid as consistent. As Coburn and Inhofe position themselves in the coming hours and days, House Speaker John Boehner made clear where he stood during a news conference Tuesday morning. In response to a question about whether Congress would require that cuts be found in the budget to pay for Oklahoma aid, he said: "Let me just speak on behalf of all our members, including those from Oklahoma: We will work with the administration to make sure they have the resources they need." The speaker added that "our hearts and our prayers go out to those in Oklahoma who are victimized by this storm, especially our colleague, Tom Cole. Moore, Okla., is his hometown, so obviously he's there, and so I've ordered the flags this morning to be lowered to half-staff in honor of those who have suffered through this terrible storm."